How Many Different Types of Mark Can You Make? 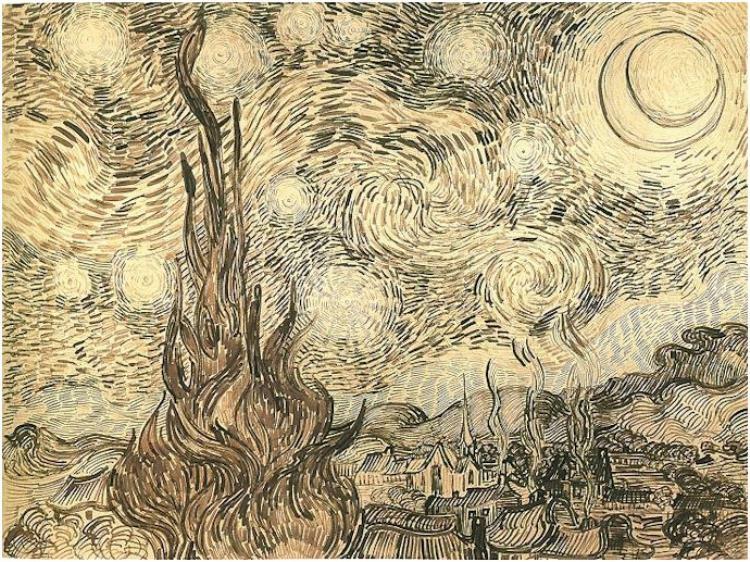 I often think of the pen and ink drawings by Vincent van Gogh. How many different marks and lines he used! Whenever I see one of his drawings I realize how important the humble line or mark is. As artists, we often overlook the line or mark or see them as a by-product of color. Color gets all the juice. It’s bold and expressive and right there in front of you. You can’t miss it. It’s seductive. But the mark, or its sister the line, can provide so much expression! Paul Klee said, “A line is a dot that went for a walk.” But it’s so much more than that. Here’s something to try: get a large piece of matboard 30” x 40” and see how many marks and lines you can create. Fifty? A hundred? Having a broad range of marks and lines in your art toolbox will give you access to yet another expressive tool. And of course, you know, the artist with the most tools - wins.